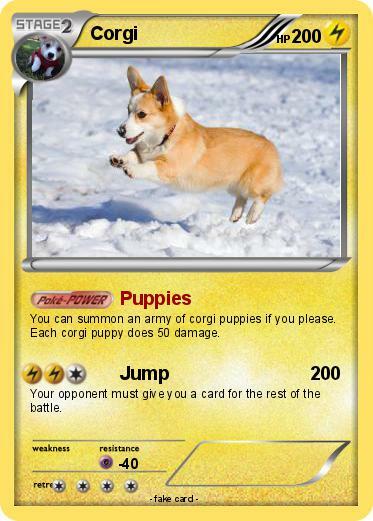 You can summon an army of corgi puppies if you please. Each corgi puppy does 50 damage. Your opponent must give you a card for the rest of the battle.